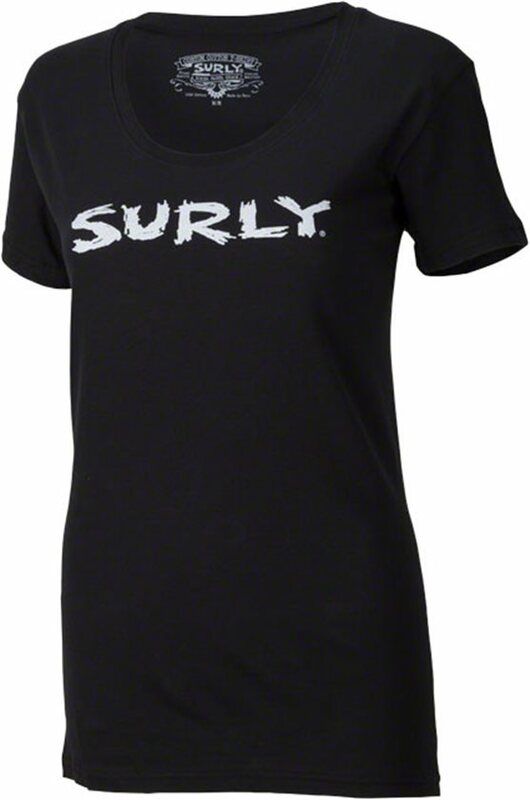 The short sleeve design of the Surly Logo Women's T-Shirt lets you easily trumpet your affection for Surly all summer long, or even in cooler months if you employ the layering technique. Either way, good to go. Note: This shirt is cut very long in back, for full coverage while in the riding position. Something to consider.